Born in the UK, the “mindful drinking” movement helps those who want to cut back on drinking — but not quit altogether. The National Institute on Alcoholism and Abuse defines low-risk drinking for women as no more than seven drinks per week and 14 drinks a week for men — but a study published in The Lancet last year might call for a rethink. 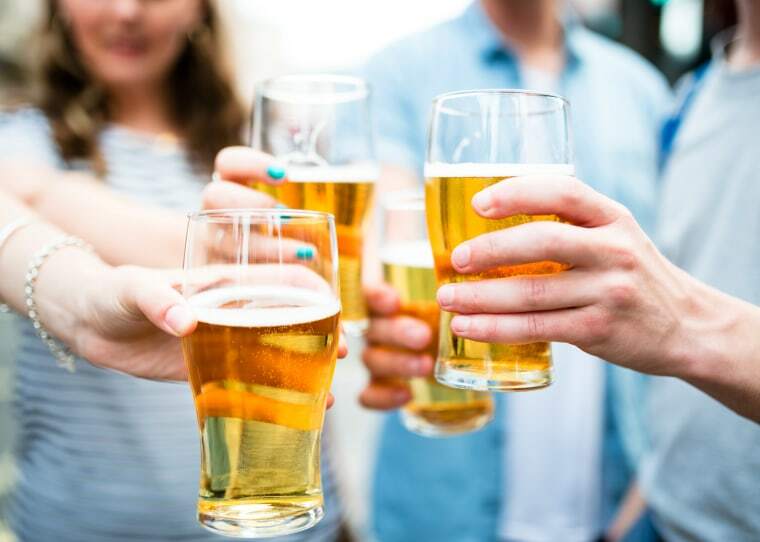 Examining data from almost 600,000 participants, the study found consuming more than 100 grams of alcohol — or roughly more than five drinks a week — was associated with an increased risk of mortality and could take years off your life. If these studies have you examining how much you're drinking, the “mindful drinking” movement promises to help those with a desire to cut down on their drinking — but maybe not quit altogether. Born in the UK and catching on stateside, mindful drinking has spawned a series of events and a popular book. I no longer drink every day just as I wouldn’t have cake every day, and I certainly don’t have four drinks in a row anymore, because imagine having four ice creams all at once. Dean says she wrote her book to help herself and others gain control of their drinking. Though the term “mindful” might imply some sort of meditation, Dean’s book is more about gaining self-awareness and shifting your habits around drinking from mindless to mindful consumption. “I used to drink wine at home almost every night, evenings out with friends would always involve cocktails and, after a stressful day in the office, a G&T was all I needed to relax. Now, I think of alcoholic drinks in the same way that I think about cake or ice-cream. If it’s a friend’s birthday or another special occasion, I’ll almost definitely have an alcoholic drink. But I no longer drink every day just as I wouldn’t have cake every day, and I certainly don’t have four drinks in a row anymore, because imagine having four ice creams all at once!” Dean says. Knowing when to cut back on alcohol consumption can be difficult and varies for every person. "National guidelines are a good place to start, however, every person's situation is unique and requires an individualized answer," says Jared James, M.D., Family Medicine, Mayo Clinic Health System. Dr. James also says that you've ever felt like you should cut back, "a loved one or a health care professional may be able to provide a more objective opinion and support them in their efforts to decrease alcohol consumption." There are plenty of people who don’t need to go into recovery but, nevertheless, drink too much and really should do something about it, for the sake of their health, wealth and happiness. With more than 2,000 participants at her events and programs, Willoughby says the mindful drinking movement has gained so much steam because the word “mindful” implies a sense of self control. “It gives you the space to reflect on when, when, what and with whom you drink, which is the foundation for all behavior change,” she says.